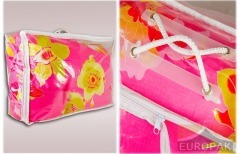 We offer side sewed bags (commonly referred to as suitcases), made of polypropylene film, which will allow you to efficiently display your products from many different angles. 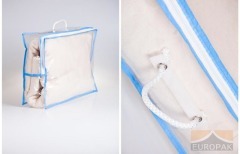 We provide an opportunity to combine polypropylene film with nonwoven fabric or with fibretex. For your convenience, we may also fix a comfortable holder or handle.